With the presidential election having dominated the media this year, it’s easy to forget about the thousands of state and local election results. Here is a roundup of what happened across the nation’s states and largest cities. *Note: All election data taken from Ballotpedia (ballotpedia.org) and the National Council of State Legislatures (ncsl.org). Data visualizations are proprietary. 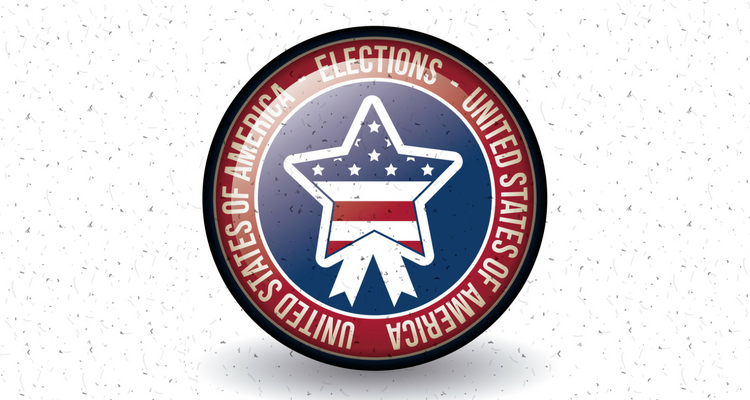 November’s election determined the fate of 5,915 elections for state legislative seats. These elections occurred in 44 states, and encompassed more than 80% of all state legislators nationwide. Republicans had their work cut out for them heading into the election, defending record-high numbers of state legislatures under their control. Though, as many political analysts have cited, state and local elections tend to ride on the coattails of national elections in presidential election years. *To reset the map, click the home icon on the left side of the image. Republicans maintained control of state legislatures, despite predictions that Democrats would net a sizable number of chamber seats. Three state legislatures will be split or tied*New York Senate is still undecided; Nebraska is non-partisan. Republicans have dominated state legislatures since 2010 when Democrats lost 24 chambers in one election season (since 1900, 12 chambers change parties on average every two years). Although Democrats made some gains in 2012, Republicans came back in 2014 to gain control of more state chambers than at any other time in party history. According to policy analyst Daniel Diorio and elections analyst Tim Storey from the National Conference of State Legislatures, much of this trend can be attributed to the shift of Southern states over the last 25 years, from complete Democratic control to complete Republican control. Twelve states held gubernatorial elections in November, including a special mid-term election in Oregon following the resignation of Governor John Kitzhaber. Eight of the twelve seats up for election were held by Democrats, despite the fact that Republicans hold almost twice the number of Governorships nationwide. Republican victories in New Hampshire and Missouri gave the party trifecta control in these states (Governor, House, and Senate)*There are a total of 55 Governorships, including territories. There were 5 state ballot measures on legalizing recreational marijuana, four of which were approved. California, Nevada, Maine, and Massachusetts joined 4 other states where recreational marijuana was already legal. Arizona, where medical marijuana is legal, voted against the measure. There were 4 state ballot measures on legalizing medical marijuana, all of which were approved. Arkansas, Florida, and North Dakota joined 25 other states and D.C., where medical marijuana was already legal. Montana voted to expand their current medical program by removing a three-patient limit on providers. *Ohio and Pennsylvania legalized medical marijuana in 2016 through legislative bills. There were 5 state ballot measures regarding minimum wage. Arizona, Colorado, Maine and Washington all voted to raise their minimum wages to $12 by 2020 ($13.50 in Washington). South Dakota voted to overturn the state legislature’s attempt to decrease minimum wage from $8.50 to $7.50. We saw 4 gun control measures on the ballot this year, 3 of which were approved. California and Nevada both voted for increased background checks, while Washington allowed courts greater power in preventing persons exhibiting mental illness, violence, or risk of violent behavior from having access to firearms. Maine voters defeated a measure that would have required background checks before a gun sale or transfer between non-licensed firearms dealers. Three states carried death-penalty related measures in 2016. All states voted against efforts to repeal, or voted in favor of strengthening the practice. California voted against a proposition that would have repealed the death penalty, Nebraska voted via referendum to overturn the state legislature’s efforts to repeal the death penalty, and Oklahoma approved a measure that constitutionally protected it. In 2016, sixty-three state supreme courts and intermediate appellate across 34 states courts held elections. Nineteen states held contested elections (partisan or nonpartisan), while 13 states saw only retention elections (an incumbent with no opponent must still receive a majority). Two states held both kinds of elections. Forty-one states have at least one intermediate appellate court, which is the intermediary between trial courts and a state’s court of last resort (usually called the ‘state supreme court’). All 50 states and D.C. have at least one supreme court, which hear appeals on legal issues from lower courts. Some of these rulings may be appealed to the U.S. Supreme Court, but on issues solely pertaining to state law, state supreme court rulings are binding and must be respected by the state and U.S. federal courts. While presidential elections dominate the political stage, they can bring much needed attention and participation to state and local elections where voter turnout remains significantly lower. Despite much of the work happening behind the scenes, state and local officials will continue shaping the lives of hundreds of millions of American residents and the generations to follow. We hope this short guide offered you some insight into key changes in state and local politics after 2016, and what we can expect moving forward. All graphics designed in Tableau Public.